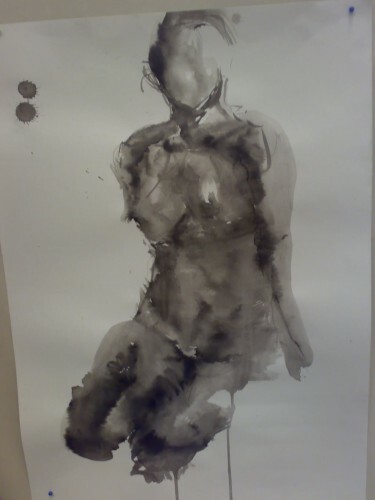 Chinese ink was used in this drawing of a body. Human body was traditionally a more western subject. By using Chinese ink with western drawing technique, I think this combination is an analogue of a Chinese set of mind plus a western style of living, which is quite common in Hong Kong culture.